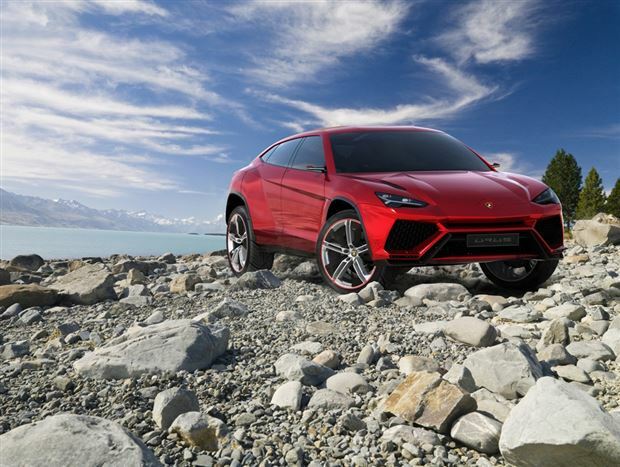 After several years of teasing the idea of a new exotic luxury SUV from the Italian marque, Lamborghini have just officially given the production green light for the Urus SUV. Scheduled for release in 2018, the Urus will indeed be based on the Urus concept SUV, first debuted in 2012 at the Shanghai Auto Show. This may come as news for some of you but this won’t be the first SUV in Lamborghini’s roster. Lamborghini produced the ultra-rare four-wheel-drive LM002 between 1986 and 1993. Available with your choice of either a V12 from a Countach or a 7.2L marine V12, the LM002 was a brute. To the untrained eye, the LM002 could have passed itself off as a custom Hummer from the same time period. Rest assured, the new Urus will not be mistaken for a Hummer of any sort. No specific details on the technical specifications have been released yet. Lamborghini are keeping mum about the drivetrain for now. It will certainly be interesting to see if the powertrain will be based upon any of the current model V10 or V12 supercars, respectively. Though, due to the nature of an SUV, chances are the Urus will feature something built more for torque as opposed to stratospheric redlines. Perhaps Lamborghini will make use of something from the large Volkswagen side like the W12 or the V10 TDI with an updated hybrid option. Lamborghini expects to sell more Urus annually than the combined sales of the Huracan, Gallardo and Aventador models. Check out the official press release on the next page. Another week, another diesel. This week James takes the Volkswagen Touareg TDI for a spin in the snow. Lamborghini’s Gallardo replacement maintains its crowd-flattening style, and upgrades the interior to Italian supercar chic. Combining his passion for all things automotive, stunning photography, and the burning desire to share a good story laced with pop-culture references and humour, Ronnie has found his calling as a "do-it-all" in the auto industry. 2 or 4 wheels makes no difference to him. If it shifts, it drifts. In his spare time, you can find him playing music that's too loud with his band, travelling, waxing poetic about his time at Hogwarts, or at your local racetrack.